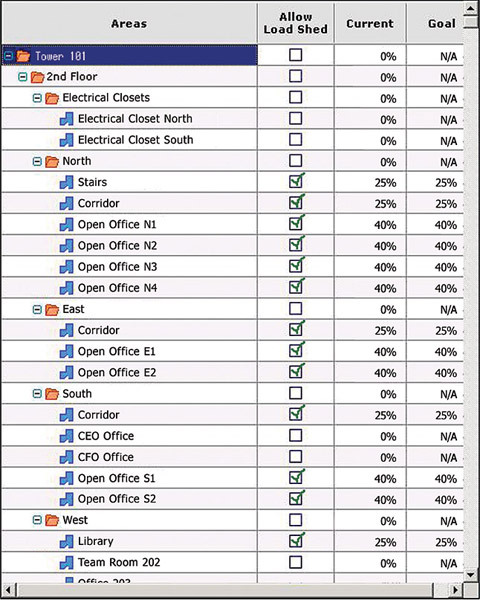 Lutron commercial smart grid solutions allow a facility to respond to load shed requests automatically, or at the touch of a button. The smart grid is the modernization of the electricity supply system. It monitors, protects, and automatically optimizes the operation of its interconnected elements in order to guarantee the supply of electricity. Consumers of electricity are asked to reduce their consumption (shed load) at critical periods, and receive financial incentives for doing so. Lutron smart grid solutions contain load shedding software that can easily reduce the lighting load to a pre-programmed level either at the touch of a button or via an automatic command. Lighting is an ideal choice for load shedding because it consumes a substantial amount of electricity, and because, unlike other systems, power reductions can be implemented gradually, so that they go unnoticed by the occupants in a building. The smart grid is an automated electric power system that monitors and controls grid activities, ensuring the two-way flow of electricity and information between power plants and consumers—and all points in between. Up and down the electric power system, the smart grid will generate billions of data points from thousands of system devices and hundreds of thousands of consumers. 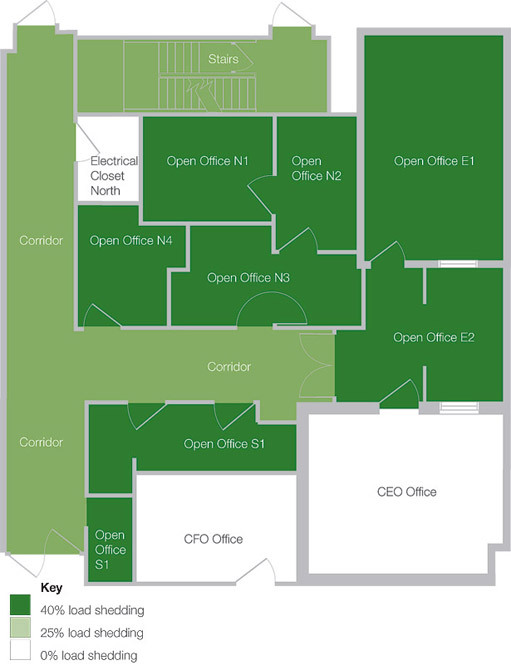 What makes this grid “smart” is the ability to sense, monitor, and, in some cases, control (automatically or remotely) how the system operates or behaves under a given set of conditions. In its most basic form, implementation of a smarter grid is adding intelligence to all areas of the electric power system to optimize our use of electricity. In this application, a customer has pre-selected a series of load-shedding actions using Quantum IntelliDemand software. 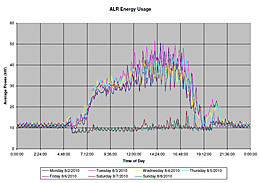 Upon receipt of a demand response signal from the utility company, the system automatically reduces the lighting loads in the selected areas over a one-minute period. The lighting is adjusted slowly, so the occupants will not notice the change. 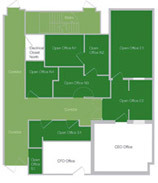 Lutron is participating in an Automated Demand Response pilot program targeting small and medium commercial sites and taking place from August 2, 2010 through October 15, 2010. 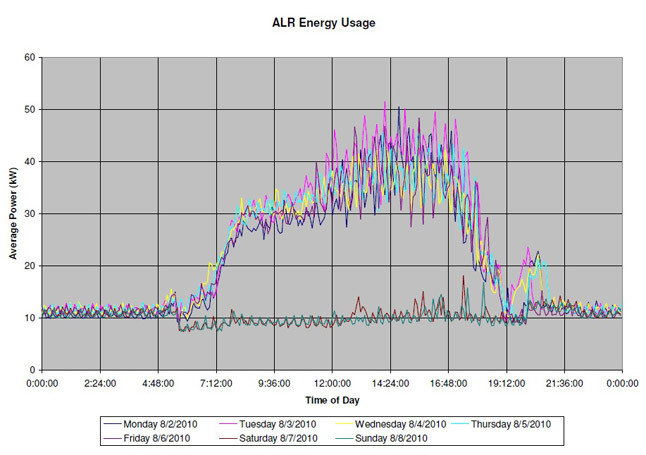 The pilot, run by Lawrence Berkeley National Lab, is an assessment of emerging technology available for 20 - 200 kW peak load customers in Pacific Gas & Electric service territory. The project is examining the use of OpenADR (messaging protocol) and Demand Response Automated Server to communicate demand response messages to commercial customers via the Internet and for those customers to automatically curtail electricity consumption via lighting, HVAC, and plug-in devices. This technology will support future demand response/peak demand management programs planned for commercial customers such as Peak Day Pricing, a program that Pacific Gas and Electric will roll out to its 20 - 200 kW commercial customers in November of 2011.